BMW announced today that its venerable X3 SUV is getting a much-needed upgrade. 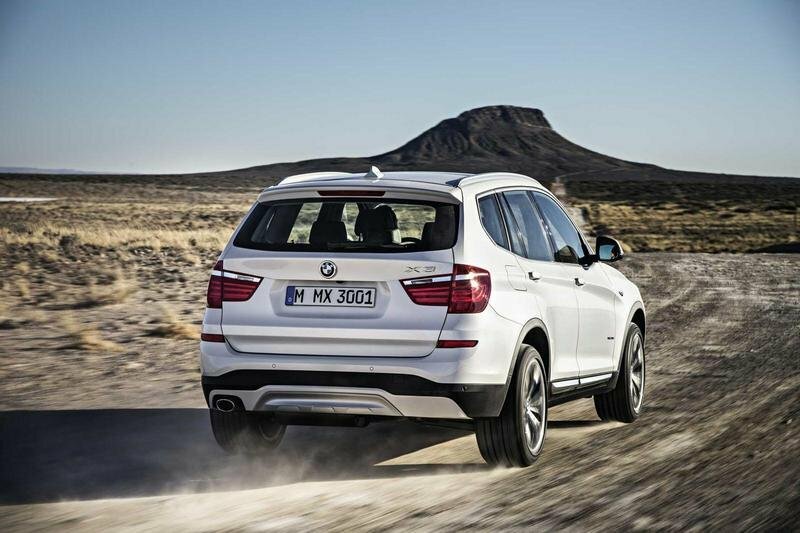 BMW is blowing open the new 2015 BMW X3 SUV by offering it with multiple U.S.-market firsts. 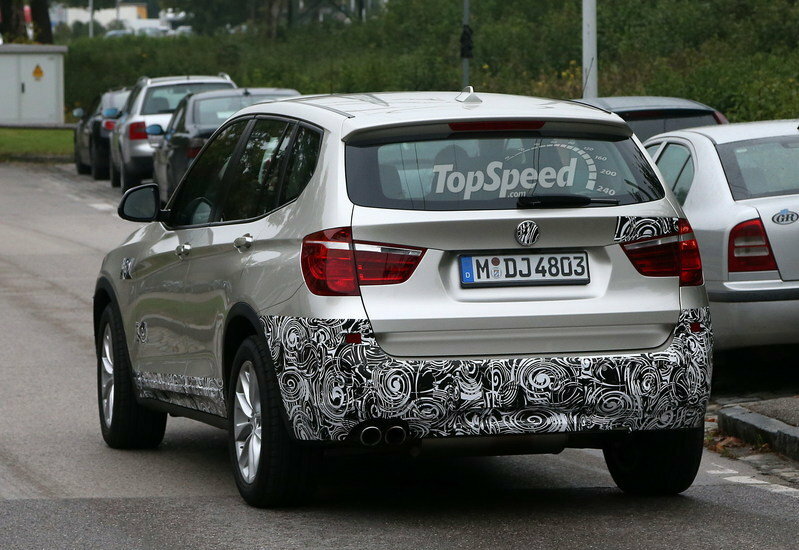 Most notably, you can now get the X3 with diesel power, and there is now a model without all-wheel drive. The availability of the rear-wheel-drive model helps bring the price of the X3 down into a new market, and the diesel engine option provides a level of fuel economy that far exceeds any of the previous X3 models. As expected with any major update, the designs of the interior and exterior have been updated and overall equipment levels have increased. 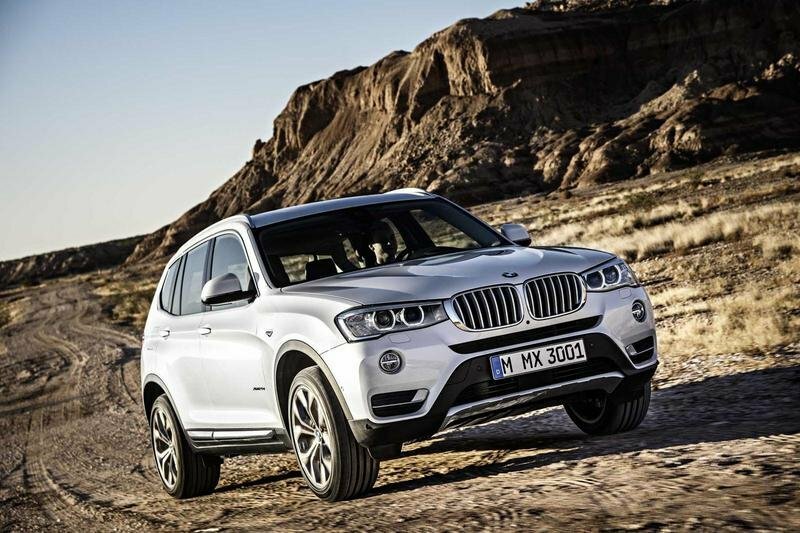 Is the new 2015 BMW X3 the best luxury SUV money can buy, or does BMW need to make more substantial changes to make the model worth looking at? Continue reading to find out all the details on this new machine. 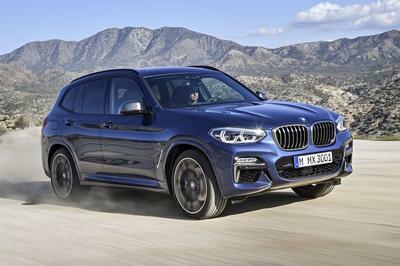 The biggest competitors for the BMW X3 are the Audi Q5 and the Mercedes GLK - and both of them have just entered the market in their facelifted versions. 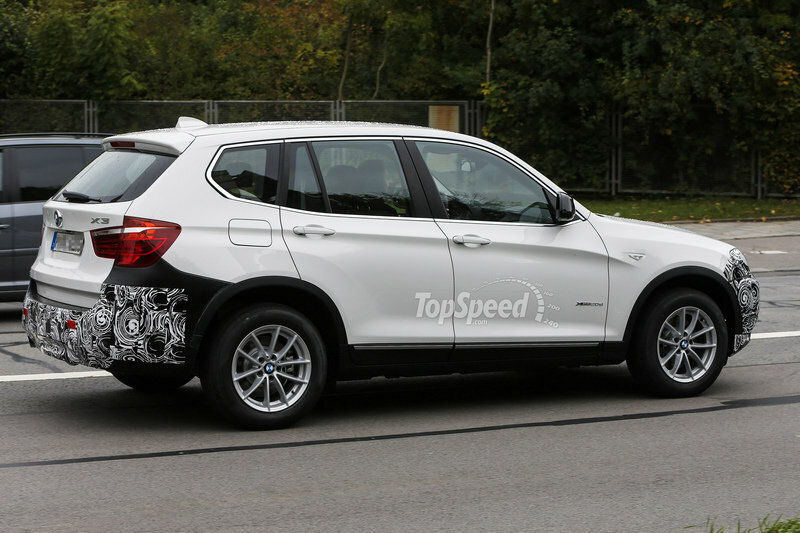 So as no surprise BMW has decided to do the same for the X3. 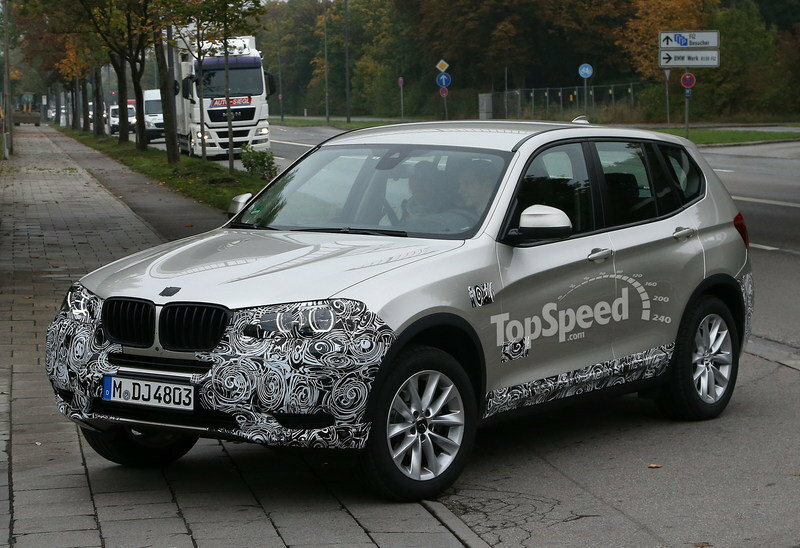 And our spy photographers have caught the upcoming X3 facelift taken out for a test session. 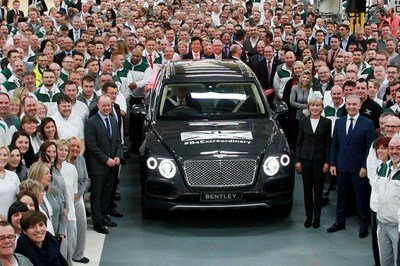 And as you can see from these spy shots, the changes will be limited to front and rear bumper, grille and head lights - the only items that are being camouflaged. The front bumper will get new air intakes and the grille will be more upright as on the current version. 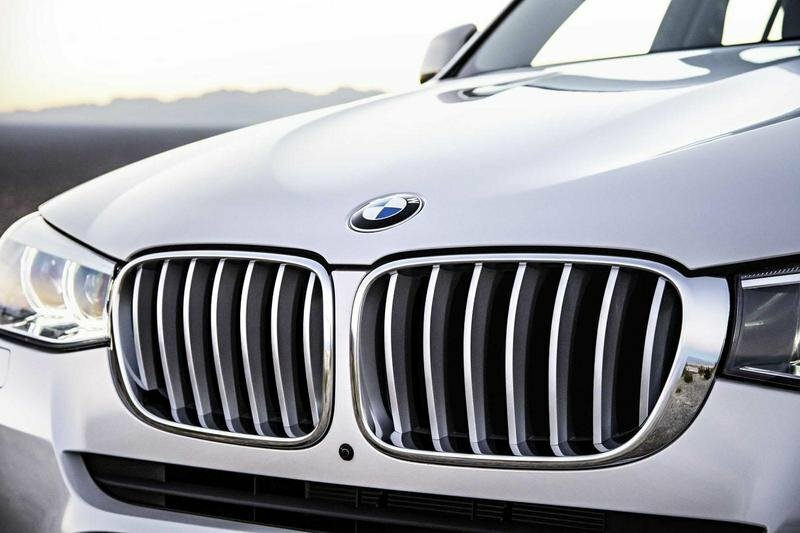 What we can not tell for sure is if the headlights will go all the way to the grille now, just like on the 3 Series, but we will find that out pretty soon. The most noticeable change for the exterior of the 2015 X3 is the front end. With a new front bumper, revised kidney grille and new twin-circular headlights, the outside feels fresher and more aggressive. The profile and general overall shape are unchanged however. The rear bumper and exterior mirrors have also been revised. New exterior colors and wheel designs round out the exterior updates. 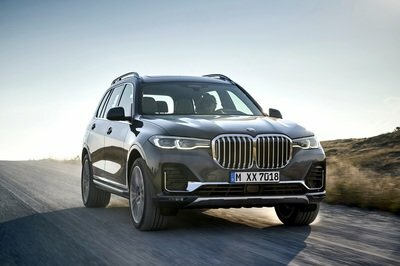 If you enjoyed the style of the last X3, you will be thoroughly smitten with the new model, but if you never enjoyed BMW’s SUV, the new car’s styling will do little to change your mind. The inside of the new X3 sees more thorough changes, with a focus on refinement. Chrome and gloss-black trim pieces are scattered about the cabin, and new cup holders with a sliding cover in the center console combine functionality and design. 2015 also brings new interior trim options and upholstery designs. This is where the biggest changes for the X3 are taking place. For the first time ever in the U.S., the X3 can be ordered without the xDrive AWD system. The new X3 sDrive28i is a RWD version of the small SUV, and is powered by BMW’s 2.0-liter, TwinPower turbocharged four-cylinder. That means 240 horsepower and 260 pound-feet of torque. That same engine is also available with the xDrive AWD system. The new engine for the 2015 model is the TwinPower Turbo diesel in the xDrive28d. It is low on horsepower compared to the gasoline engines, with only 180 ponies, but its 280 pound-feet of torque will provide confident thrust in any situation. No fuel economy numbers have been released, but this will be the most fuel efficient version of the 2015 X3. Expect highway EPA numbers to hover around 35 mpg; not bad considering the diesel will be sold exclusively with AWD. 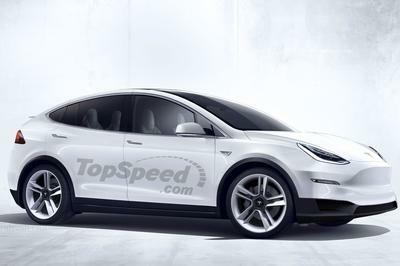 We suspect a RWD version of the diesel would be able to clear 38 mpg on the highway cycle. The most powerful version of the new 2015 BMW X3 is the xDrive35i. With a 300-horsepower six-cylinder, this version of the new X3 should clear the 60 mph barrier in less than 6 seconds. Each version of the 2015 X3 gets its wheels turned by a new eight-speed automatic transmission. Audi has stuffed its amazing new 3.0-liter TDI V-6 into the nose of the Q5, giving it 240 horsepower and 428 pound-feet of torque; easily trumping the X3’s new diesel. 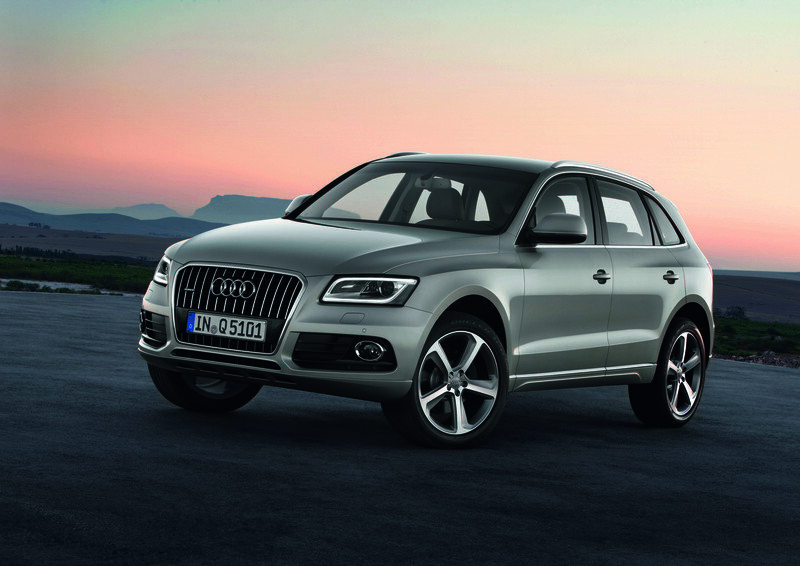 The Q5 also manages to return more than 30 mpg on the highway. 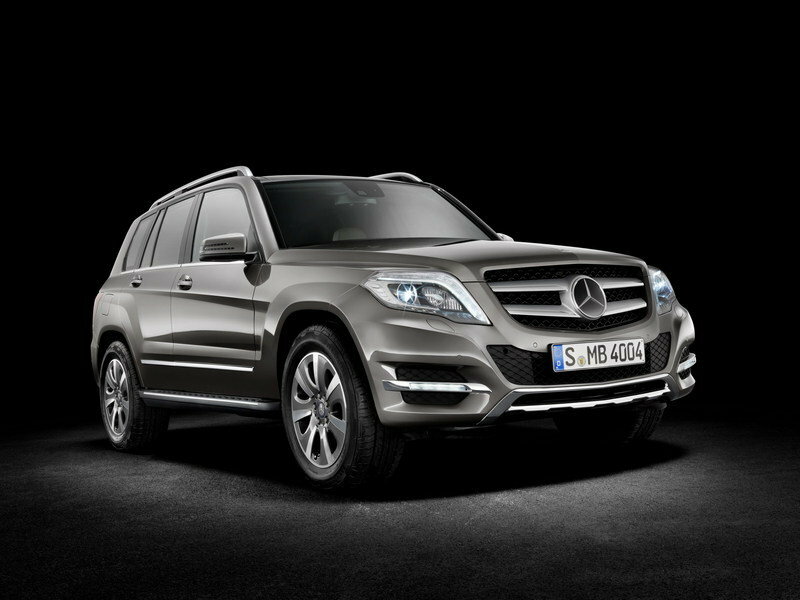 The Mercedes GLK is a closer competitor to the BMW especially in the diesel department. With a 2.1-liter motor producing 200 horsepower, it still makes more grunt than the BMW, and its 33 mpg highway rating is nothing to scoff at. The X3 has no doubt been a runway success for BMW, and this updated version is only going to help increase sales. 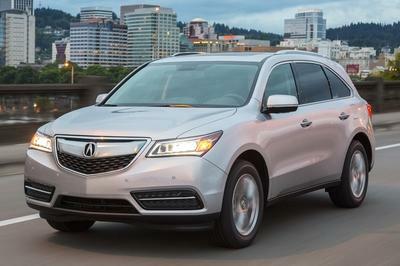 Thanks to a new lower base price, and the availability of a fuel-efficient, diesel engine, the new 2015 X3 is sure to win over some new buyers from the other luxury SUVs. This new model is expected to start hitting showrooms this spring, so get your orders in now. It was back in 2003 that BMW founded the new mid-size Sports Activity Vehicle (SAV) segment with the launch of the X3. That means the BMW X3 has been a paragon of sporty dynamics, premium ambience and robust agility, coupled with low fuel consumption and emissions, for over 10 years now – racking up sales figures of more than one million units in the process. The second generation of the successful BMW X3 has made a compelling case for itself since its introduction in 2010, boasting the best interior and boot measurements and the greatest versatility in its class. And now the new BMW X3 (fuel consumption combined: 8.3–4.7* l/100 km [34.0–60.1 mpg imp]; CO2 emissions combined: 193–124* g/km) is set to build inexorably on its segment leadership. A pair of new-generation diesel engines, producing more power but once again burning less fuel, serve to improve dynamic performance and reduce pollutant emissions. The exterior and interior design of the new BMW X3 reveal stylistic revisions and also add further depth to the car’s practicality with detail solutions responding to customer requirements. The new BMW X3 cuts a visually more powerful figure with its new, modified twin circular headlights (LED headlights are optional), a more eye-catching kidney grille, new front and rear bumpers, and exterior mirrors with integrated turn signal indicators – shining an even brighter spotlight on signature BMW X model design features. 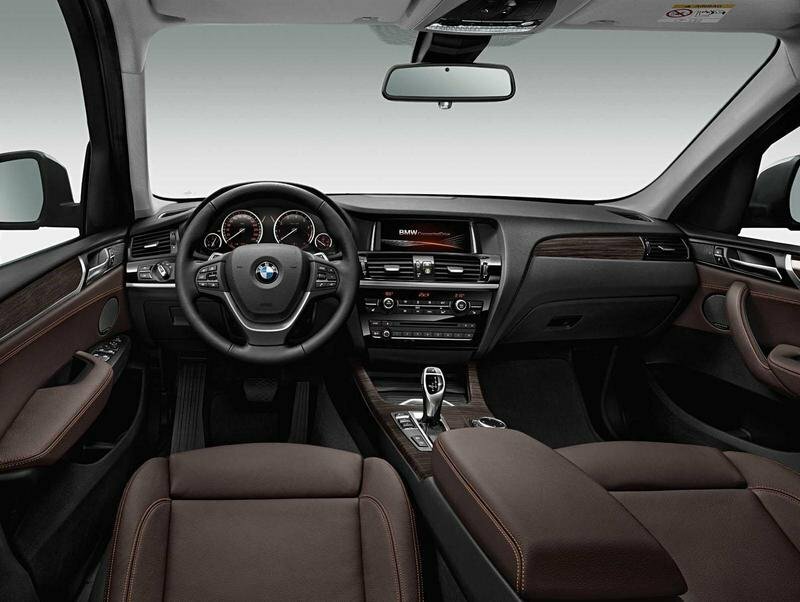 A high level of perceived quality and exclusivity also defines the interior of the new BMW X3. 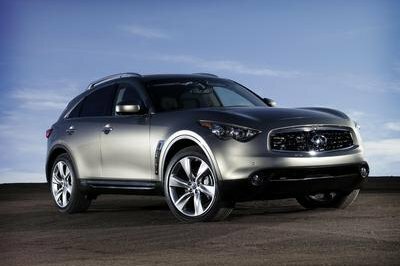 Chrome applications, a centre console with optional automatic climate control system in high-gloss black-panel look, and new cupholders with a sliding cover for the centre console underline the car’s premium appearance. New exterior colours, upholstery designs, interior trim strips and light-alloy wheels enable even more refined individualisation. The new xLine equipment package, meanwhile, allows owners to lend greater emphasis still to the dynamic and robust SAV character of the BMW X3. And the Smart Opener for the automatic tailgate and storage package (both optional) further enhance the already impressive functionality of the BMW X3. * Figures with optional reduced-rolling-resistance tyres on 17-inch Streamline style 306 wheels. The new BMW X3 is available from launch with a choice of four diesel and three petrol engines, with outputs ranging from 110 kW/150 hp to 230 kW/313 hp. The state-of-the-art units with BMW TwinPower Turbo technology guarantee outstanding performance combined with low fuel consumption, and all meet the EU6 exhaust gas standard. At the same time, the output of the X3 xDrive20d (fuel consumption urban/extra-urban/combined: 5.8–5.4*/5.1–4.8*/5.4–5.0* l/100 km [48.7–52.3/55.4–58.9/52.3–56.5 mpg imp]; CO2 emissions combined: 141–131* g/km), for example, rises from 135 kW/184 hp to 140 kW/190 hp, while the fuel consumption of the automatic version is 7.1 per cent lower than that of its predecessor. The BMW X3 xDrive20d, which gives this new 2.0-litre turbodiesel its global premiere, therefore sets the benchmark in its class. It is an achievement matched by the new 110 kW/150 hp BMW X3 sDrive18d (fuel consumption urban/extra-urban/combined: 5.8–5.4*/4.7–4.3*/5.1–4.7* l/100 km [48.7–52.3/60.1–65.7/55.4–60.1 mpg imp]; CO2 emissions combined: 134–124* g/km) with classical rear-wheel drive and a six-speed manual gearbox. Likewise leading the way in their segments are the BMW X3 xDrive28i (fuel consumption urban/extra-urban/combined: 9.3–8.7*/6.3–5.9*/7.4–7.0* l/100 km (30.4–32.4/44.8–47.8/38.2–40.3 mpg imp); CO2 emissions combined: 172–162* g/km) with 180 kW/245 hp and the BMW X3 xDrive35i (fuel consumption urban/extra-urban/combined: 10.7/6.9/8.3 l/100 km [26.4/40.9/34.0 mpg imp]; CO2 emissions combined: 193 g/km) with 225 kW/306 hp. * Figures with optional reduced-rolling-resistance tyres on 17-inch Streamline style 360 wheels.